The Gallery gets set for its 2015 Opening Party, which will feature Simon Patterson. 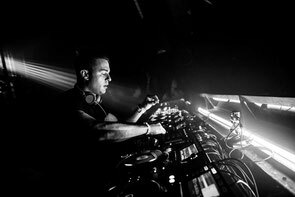 The brand re-launches its weekly big room clubbing experience on Friday 23 January at Ministry of Sound with a line up that includes Simon, Jon Askew, Blazer, indecent Noise and The Gallery residents. Building on the BBC Radio 1 success of a ‘Residency’ series, The Gallery is celebrating one hundred episodes of Simon Patterson’s ‘Open Up’ radio show. This is a landmark achievement for Simon, who has opened up his tough brand of trance, techno and breaks to a global audience. Increasing the magnitude of the event, Patterson’s personally curated line-up purposefully alludes to this harder musical mantra. To mark the occasion the club will host a live worldwide broadcast from The Box all night, and invites The Gallery faithful and lovers of harder music alike to come and make some noise.